Suckmusic wurde 2010 in Melbourne, Australien gegründet. Das Plattenlabel hat schnell einen Ruf für seinen spannenden, innovativen Stil erworben und sich der Förderung interessanter elektronischer Musik verschrieben. Seit 2011 veranstaltet Suckmusic Events in den angesehensten Clubs von Melbourne. Seine Labelnacht im legendären Club Revolver Upstairs packt weiterhin die Tanzfläche und geht nun in sein achtes Jahr. Wir freuen uns, unser Opening im Cube Düsseldorf zu präsentieren und das Label in Deutschland offiziell zu launchen. Labelinhaber Nick Coleman spielt live, begleitet von Produzenten/DJs Starskie und King Brain. Friday the 28th of September Suckmusic will be back at Revolver for a big night of festivities. 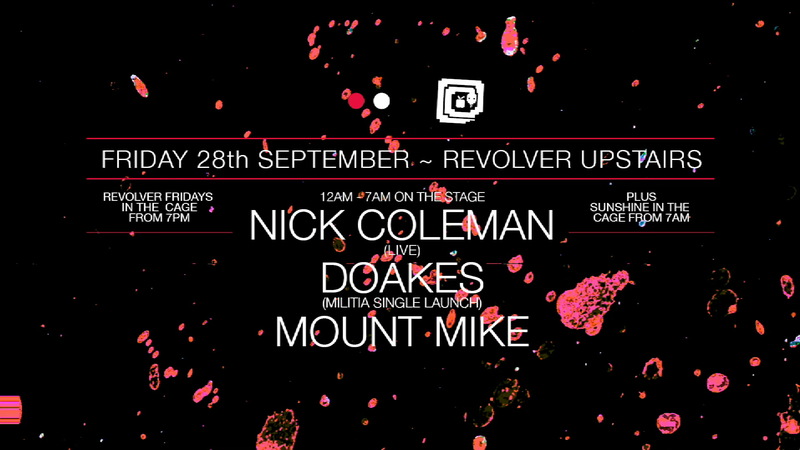 Label boss Nick Coleman will be back in the house alongside Suckmusic artists Doakes & Mount Mike. Coleman, now based in Düsseldorf will be playing live followed by a 3 hour DJ set. His latest two track release out on Suckmusic – Electronic Love & German Winter (7th of Sept) has been rocking the local clubs & Open Airs over the European summer, with support from DJ T, Joris Voorn & Loco Dice. We also launch Doakes’ new single ‘Militia’ scheduled for release 29th of September. Doakes’ sonic palette continues to evolve with each imprint he delivers. Militia is a big track, one that we expect will feature significantly at the upcoming Aus festival season. As always thank you for your continued support of the label and our nights at Revolver. Catch you on the dance floor. For our next release we welcome a young source of talent from the foothills of Mt Dandenong – Connor Mac. A fresh face on the label, Connor’s work is lush and melodic with a sweet spot for synthesisers. SUK063 or ‘Lost Kinship’ as he puts it is comprised of three tracks which showcase a distinct diversity to his taste. 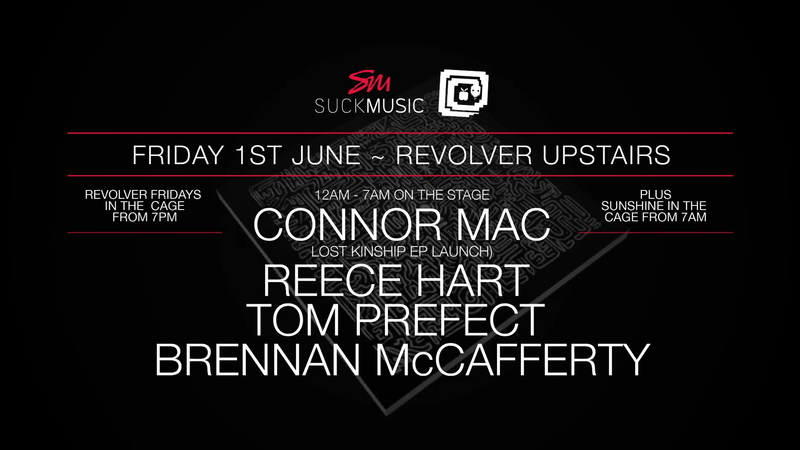 It’s been a little too long between drinks so we’re stoked to be back at Revolver Upstairs in June for another all in classico Suckmusic Friday night. This time we’re launching Connor Mac’s debut EP – Lost Kinship – and for those unfamiliar with Connor’s work, you’re in for a treat. Hailing from the hills of Belgrave, Connor’s take on house and techno is a fresh and well oxygenated approach with a sweet spot for synthesisers. As per usual with our launch party events we’ll be live streaming the entire event from the cage on the stage and we’re also extending exclusive pre-release access to ‘Lose Kinship’’ for those who click attending. To receive a download link and be added to our free guest list (first 10 people only) PM us your name and email address. Thank you for your continued support of the label and our nights at Revolver. Catch you on the dance floor.